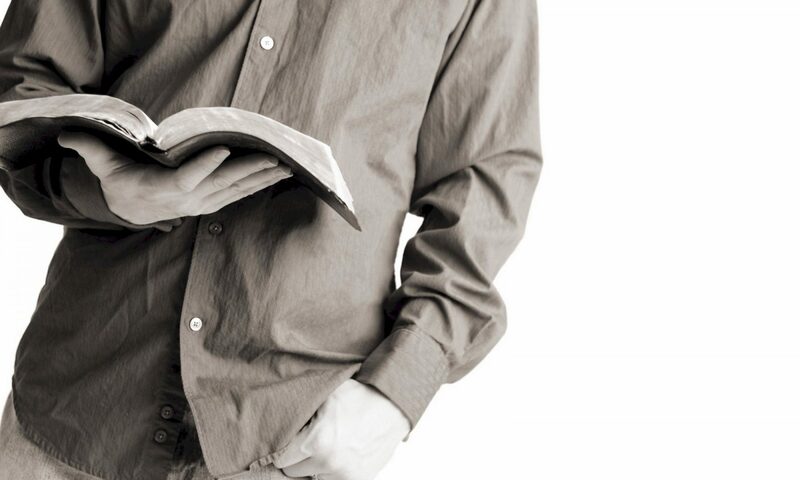 Why do we share the Gospel message? In society there are two kinds of people, those who cannot stay in the same place for any length of time and those who dread uprooting and moving to another house, or city. Most people cannot imagine what it would be like to move to another country. This is the way God has wired us, neither is good or bad. Which of the two describes you? 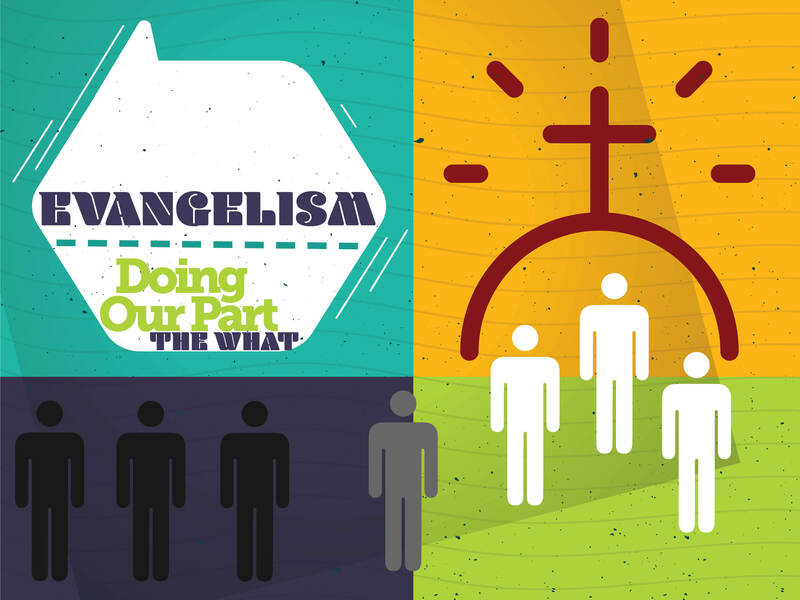 And what is your part to play in the mission of the church? Last week one of our church members left for Cameroon and in a few weeks a team will be following her. Why do we go to foreign lands? For most people this is illogical, crazy even wasteful. Some would say that if you are going to travel to a foreign land, at least go to an exotic location, but not an African village with no running water? There must be a compelling reason for us to go? In Luke 24 we read Luke’s account of Jesus revealing his resurrection to his disciples. He is alive! As the disciples are talking, Jesus appears in the room. It must have been frightening, Jesus simply appears out of thin air! Jesus begins to calm their fears and shows them his hands and feet, the scars, the real skin and bones. The fact that Jesus rose from the dead changed everything for them, and it means everything to us. If he didn’t rise from the dead, the early church would never had started, and there would be no church and no hope. Jesus proved that he was alive, by showing the disciples his hands and his feet, and allowing them to touch him. But what proof does the world around us have that Jesus is alive? The reality is that according to the word of God, the world needs to look no further than you and me to see evidence of the risen Lord. Our testimony should be one of a changed life, a different way of living. Let your story be known, so that people will believe in the risen Lord (see Colossians 1:27). Jesus begins to teach them, he explains the scriptures to them, in that day the Old Testament was established and recognized. This is what Jesus had just done for the two disciples on the road to Emmaus as we read in verse 27. As Jesus teaches them, he opens their minds so they could understand the scriptures, they were able to fully grasp Jesus in the Old Testament, what an amazing revelation that must have been. Jesus goes on to tells them the wonderful Gospel message, verse 46; “He told them, “This is what is written: The Messiah will suffer and rise from the dead on the third day.” Jesus shows them that the Gospel is prophesied in the Old Testament, this is it! Jesus continues by declaring that repentance for the forgiveness of sins will be preached in his name (Jesus’ name) to all nations, beginning in Jerusalem. 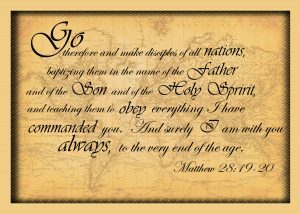 Matthew records this in what we call the Great Commission (Matthew 28:19-20). This Gospel message, this message of salvation, is for all nations, every ethnic group and tribe. The Great commission is not just for the disciples who were in the room that day, it is for all believers throughout all of history. It is not just for those who are trained as pastors and evangelists, or missionaries, it is for all who believe that Jesus Christ is Lord. In verse 49, Jesus tells his disciples to wait, they were not yet ready, they needed one more thing. 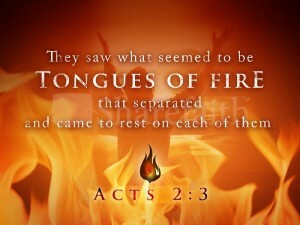 They needed to power of the Holy Spirit in order to go. Jesus knew that if they had gone out in their own strength they would have failed, they needed the Holy Spirit to lead in the mission. We also cannot expect any fruit from the Gospel message without the Holy Spirit. We rely on his leadership and equipping as we share the Gospel message to the world around us. Note Jesus says, “be clothed”, be covered up with the Holy Spirit. Not just take a drink of the Holy Spirit, but be completely covered by the Holy Spirit, so that when you go, you will go in power. Just like being unclothed leaves one naked and vulnerable, without being clothed in the Holy Spirit, we are naked and vulnerable to the attacks of the enemy. So we have the message, the Gospel of Jesus Christ – we have the empowering Holy Spirit – and we have the commission, the Great Commission. We have to go! Where is God calling you to go? Your home? Your neighbor? Your workplace? The streets of the city? Maybe God is calling you to the ends of the earth. We highlight and celebrate the international missionaries, and that is good, but we need to remember that the missionary who is led by the Holy Spirit to reach his neighbor or co-worker is just as important and valuable in the Kingdom of God. You may say, I don’t have the ability? Have you clothed yourself with power from heaven? Of course you don’t have the ability, but be clothed with the Holy Spirit, it is a promise of God that we need to pray for. You may say, I don’t have the means? Who is it who is inviting you to go? The maker of heaven and earth, the creator and sustainer of all things? Where He leads you to go, He will provide. If you know Jesus Christ as your personal Lord and savior, you are called to go. This Past Sunday, we celebrated Pentecost Sunday by praying for 48 hours in the chapel leading up to the Sunday morning service. 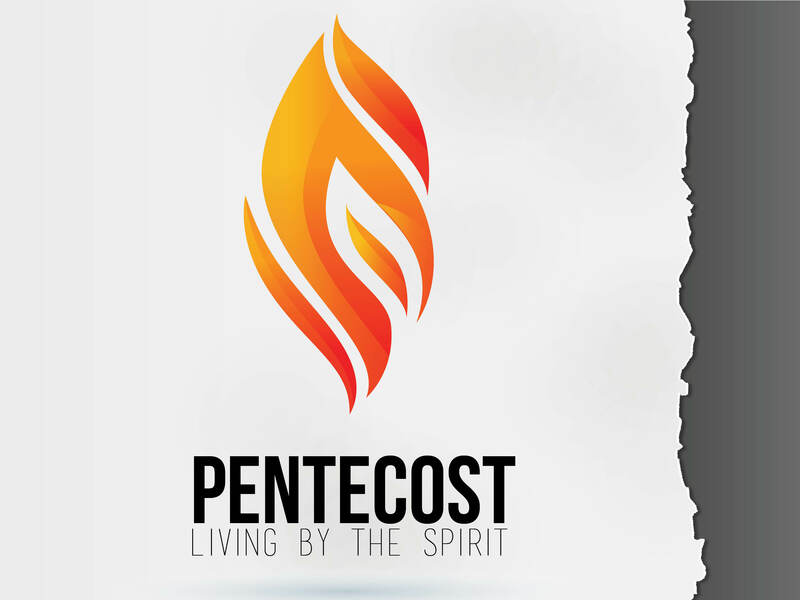 On Pentecost Sunday, we remember the day when the disciples received the Holy Spirit and how the early church was formed in power. As we look at our own lives today we see that we have two choices, either we live by the Spirit or we live by the flesh. Paul highlights this in the first eight verses of Romans 8. But what does it mean to live according to the flesh? Well it just so happens that Paul gives a list in his letter to the Galatian church (see Galatians 5:19-21). We may look at that list and say, well I am not sexually immoral, I don’t practice witchcraft or I don’t participate in Orgies – but what about impurity (impure thoughts), what about selfish ambition, or dissensions and factions (gossip with the intent to create division). If we are honest, we all struggle with some of these things, we constantly wrestle with the desires of the flesh. The real battle is in the control of our minds. As Christians, we are to be self-disciplined not only in our physical appetites but also in our thoughts. How often we fail in disciplining that vital part of life. Our thoughts begin to drift from the God centered life into worldly things and thoughts we know we should not dwell on, and we let them go and we become anxious, lustful, hateful, prideful and we give in to self-pity. Someone might say; “well, I gave my life to Jesus, I received the Holy Spirit, but I still had bad thoughts, God didn’t take them away, I am living a defeated Christian life”. The truth is that we have work to do, don’t blame God for your impure thoughts if you spend hours watching late night cable TV. Daily we need to daily surrender to the Holy Spirit’s will and leadership so that we can live in the power of the Spirit. Paul explains this perfectly in Romans 12:2. What occupies your mind, will ultimately express itself in your character and lifestyle. It seems impossible, how can we overcome the problem of our mind? God has provided a solution, we need to appropriate that solution to our lives (See Romans 8:9). This verse begins a series of verses that include the conditional clause; “if” 8 times. If anyone does not have the indwelling Spirit of God it does not matter their profession of the local church they are a member of, they are not a member of Christ’s eternal body. To belong to Christ, the Holy Spirit of God must indwell your life. The person who gives no evidence of the presence, power and fruit of God’s Spirit in his life has not authentically claimed Christ as Savior and Lord. The person who demonstrates no desire for the things of God and has no inclination to avoid sin or no passion to please God is not indwelt by the Holy Spirit and thus does not belong to Christ. A sobering truth. But the person who has the Holy Spirit living in and through them experiences life and life abundantly. The Holy Spirit does not only enable us to live in peace and fruitfulness, the Holy Spirit is also a deposit, or a promise of God that we will one day be resurrected from the dead and given new bodies, incredible resurrected bodies (see Ephesians 1:13-14). Finally we come to the results or the blessings that come from living by the Spirit. Reading Romans 8:14-17 we see that, by the Holy Spirit we become sons and daughters of God. Children of the living God, and we get to call the almighty creator of all things Father. It seems impossible, how can we possibly believe that? The God of the universe allows us to call him Father and come into His presence to worship Him and ask Him for our needs, that is too much for us to comprehend. But then we read in verse 16; “the spirit himself testifies with our spirit that we are God’s Children”. One of the roles of the Holy Spirit is to testify, to convince our own spirit that we are God’s children, because God knows we will find that hard to fathom. Allow the Holy Spirit to testify with your Spirit, and begin to meditate and understand what it means to be a child of the living God. This is a daily battle for the mind, are you going to be controlled by the flesh or are you going to allow the Holy Spirit to lead and direct you? The mind set dominated by the desires and activities of the sinful nature leads to death. The mind set dominated by the desires and activities of the will of God leads to life and life eternal. Each person is responsible for which mind set he or she pursues. How am I at mental-discipline? When I catch myself thinking wrong thoughts, do I make myself think about something else? Where are some of the places I go? What are some of the things I do that feed my mind with the wrong kind of stuff? Paul writing to the Philippian church sums it up in one verse; Philippians 4:8 – That is living by the Spirit. Abandon yourself to the will and purposes of God in your life. You will find that as you live by the Holy Spirit, you will experience a life of adventure, peace and fulfillment unlike anything you could ever imagine. Have you ever needed a miracle of provision or healing that seemed impossible? Maybe you are in that position now? Trusting God for what seems impossible. This is faith, faith to believe that God will provide, faith to believe that God will move on our behalf. The truth is that God is pleased with our faith, God rewards faith. In Matthew 15 we read of a woman who set an example and a standard for what it takes to please God. Do you want to please God? This Syrophoenician women comes to Jesus with a problem, her daughter is demon possessed and suffering terribly. She had probably heard that Jesus was coming to town and she trusted that Jesus could heal her daughter. She was desperate, and probably had tried every other avenue to have her daughter set free. This was her last hope, she was desperate. But it seems like she is being rejected by Jesus and his disciples. We read in verse 23 that Jesus said nothing to her. He completely ignored her and seemed almost callous and cold to her pleas. The disciples were probably annoyed and they urge Jesus to send her away, because she was crying out persistently. On the outside it seemed that Jesus didn’t seem to care, it was as if he was testing her. Her situation was desperate, why was Jesus not responding to her need? Sometimes we face a desperate situation, and God is silent. Has He forgotten us? Does He not see our situation? It seems that Jesus is finally rejecting her completely, the door is shut. But the woman quickly responds, she is getting bolder now, she has nothing to lose and seeing that Jesus is responding to her, she seems to grow in courage (v27). Her faith is small but it is maturing. Remember Jesus said in Matthew 17:20, that if you have faith as small as a mustard seed, you can move a mountain. It is not the size or quantity of the faith it is the maturity of the faith. 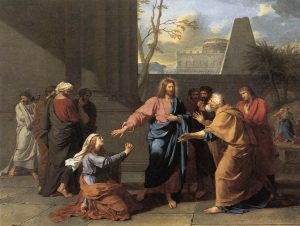 As Jesus hears her faith and humility he responds immediately by commending her faith and healing her daughter. Her faith is rewarded and her daughter is healed. 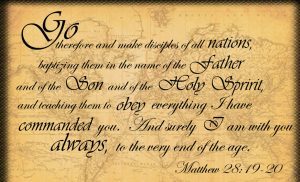 It is interesting to note that Matthew records two occasions in his Gospel of people that had the distinction of having great faith. This Canaanite woman and the Roman centurion in Matthew 8. Both were gentiles, and on both occasions Jesus healed from a distance. The reality was that the gentiles were spiritually distanced from the Jews and the ministry of Jesus. But, that is why Jesus came to die on the cross, to reconcile all nations and people groups to himself. It is simply a matter of faith. Jesus still rewards faith today. Sometimes it seems like Jesus is saying no, Sometimes it seems like he is blessing others but we are being ignored – this is what tests our faith and matures our faith. Today God is looking for people who walk by faith not by sight. The reward of a lifestyle of faith is great. God does not put us through trials for no apparent reason, rather it is to develop our faith and trust in Him. Individually and corporately as a church we are being tested in our faith. Read James 1:2-4: Do you see the progression? Trials test our faith, which produces endurance, which perfects us and then we will lack nothing. We will lack no good thing. Corporately we are having our faith tested, and the Lord is looking to see how we respond. In a few weeks we are going to vote on a re-allocation of our budget to support a church plant. We know that we are running at a deficit budget, giving is down, it seems illogical. So how do we respond? Do we pray and ask the Lord for His will and then move in faith in the direction he gives us or do we respond in fear? Read the encouragement of the Psalmist in Psalm 37:25. Individually, what is the desperate need of your heart today? Don’t give up, be persistent, come to the Lord daily, hourly, but keep believing that what His Word says is true and that He is able to give you what you need. Note I didn’t say all our wants, rather all our needs, God knows our needs and The Lord will provide for you in his perfect timing and perfect way, and you will be able to look back with stronger faith. Not only will you have a stronger faith, but you will be pleasing God and your life will be a testimony to others about the goodness of God. In order to have faith we must believe that God exists, this is the root of faith. If we struggle with faith, it is because we struggle to believe that God exists. Trust in God He will never let you down.